Following an undeniably awesome reception for new album One of Us last year and several laps of the globe in support since, Cash Savage is testing the limits of her staunch work ethic and embarking on another round. 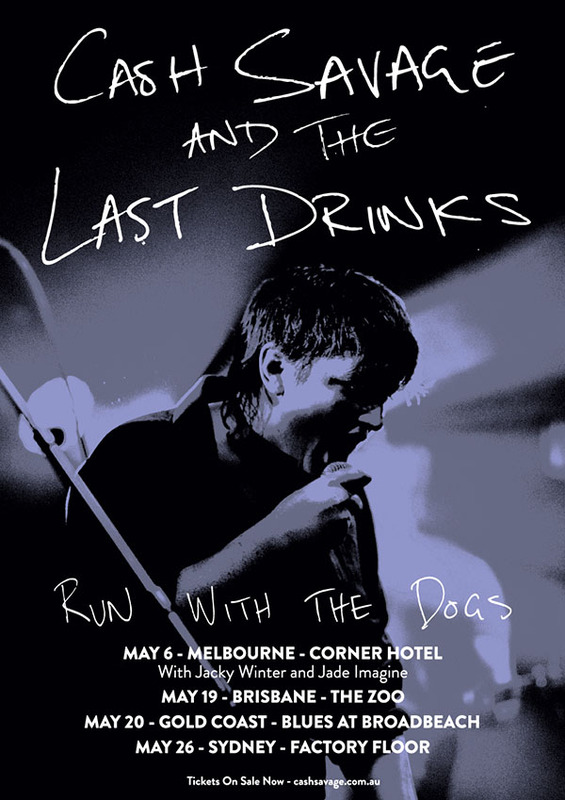 This May, Cash Savage and the Last Drinks launch new single Run with The Dogs with an east coast run before heading to Europe for a string of northern summer festivals in July. Boasting “a Springsteen-like spring in the step” (Patrick Emery, Beat Magazine), Run with The Dogs must be experienced live to truly be appreciated. Many a sweat will be broken when the feverish new track kicks into full gear on this jaunt, which leads them in front of some of their largest headlining audiences to date.